Have you heard of this crazy thing called Facebook? This social media site has evolved from a few hundred thousand users to more than a billion in the last five years. This is truly astounding when you think about it: a BILLION users under the leadership of a guy in his 20s. I can’t imagine achieving such success at such a young age, but I can imagine how difficult it would be to keep your ego in check. Obviously, I have never met Mark Zuckerberg, so my opinion is based solely on what I see and read, but only someone with a huge ego would think that he could maintain success long term without caring about his customers. Unless there is a dramatic change, I believe that this will lead to the ultimate demise of Facebook. 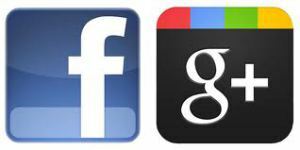 Google Plus might not be nearly as widely adopted as Facebook—yet—with just a few hundred million active users, but if I were a betting person, I’d bet on Google Plus being around for a much longer time. Google very clearly listens to its customers and incorporates their feedback. While social media certainly is not a fad, I believe Facebook is.